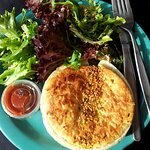 There aren't enough food, service, value or atmosphere ratings for The Potter Espresso Bar, Australia yet. Be one of the first to write a review! Walking past Melbourne Uni and decided to stop by for a coffee. The coffee was good and the service was great. Also a convenient location handy to grab a coffee if on campus. Loved the coffee here and I had a sweet scone, as well. Enjoyed the wi-fi and had a nice break before continuing to view the excellent collections on display at the Potter Museum. 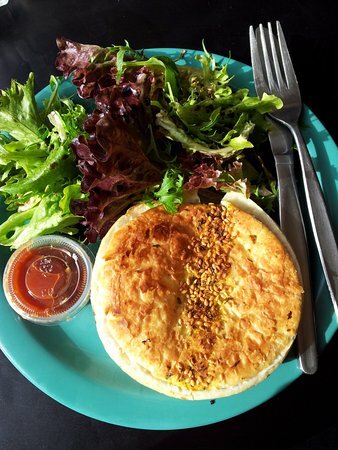 I had the Korma Curry Pie and mixed greens which was well presented and very tasty. I loved the home made tomato sauce. My partner had a toasted Tuna wrap and also enjoyed it. Very reasonably priced. We had lunch here after visiting ACMI and the NGV. God food at a reasonable price in a good setting. Get quick answers from The Potter Espresso Bar staff and past visitors.